Unlike some of the open water dive courses around Sydney all courses run by Abyss Scuba Diving are PADI certification. The price of the course includes your PADI certification and you do not have to pay extra to upgrade to a PADI certification. All the Abyss Scuba Diving courses include all scuba diving equipment which includes scuba gear, tanks, a 7mm wetsuit, and scuba diving mask, snorkel fins and boots and not just snorkelling gear which in many cases does not include boots resulting in cold cut feet. Private Dive Course. 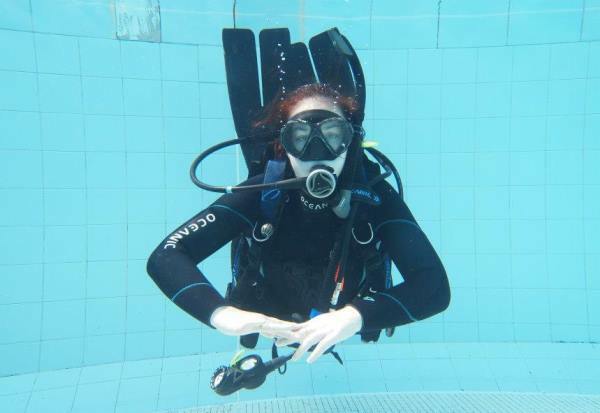 The Private Dive course is designed to be tailored to meet your needs. The in water training will take place over 2 days that best meet your schedule. 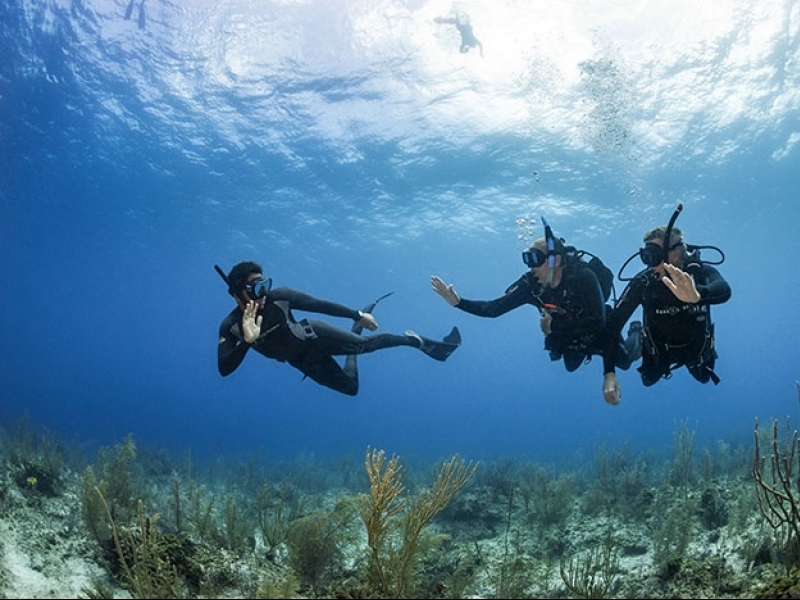 You will be trained by one of our PADI master scuba trainers who will be dedicated to you. You can also do this course with a group of friends. This course give you the option of PADI eLearning or using a manual for your theory. During the course there is nothing extra to pay, with everything supplied from your photos, log book, lunch and the use of all the equipment needed for the course. Naturally this course is taught under the extra security of a shark shield.This course is ideal for busy people who can’t get 2 days off in a row, shift workers or those who feel a bit nervous and would like to have the instructor work one on one with them. The Abyss Scuba Diving Learn to Dive Course. With a maximum of 4 students to each of our instructors you will gain confidence and experience unmatched by any otherscuba dive school. With this approach, your instructor can more easily target specific areas that you need attention to, rather than wasting your time while they concentrate on other students. As a result you will get more time having fun scuba diving and finish the course a much better diver. This lets you complete your learn how to dive course with only 2 days of in-water training.You have the choice of completing your in-water training either on Saturday-Sunday, Monday-Tuesday or Wednesday-Thursday. This course gives you the option of eLearning or using a manual for your theory. During the course there is nothing extra to pay, with everything supplied from your photos, log book, lunch and the use of all the equipment needed for the course. 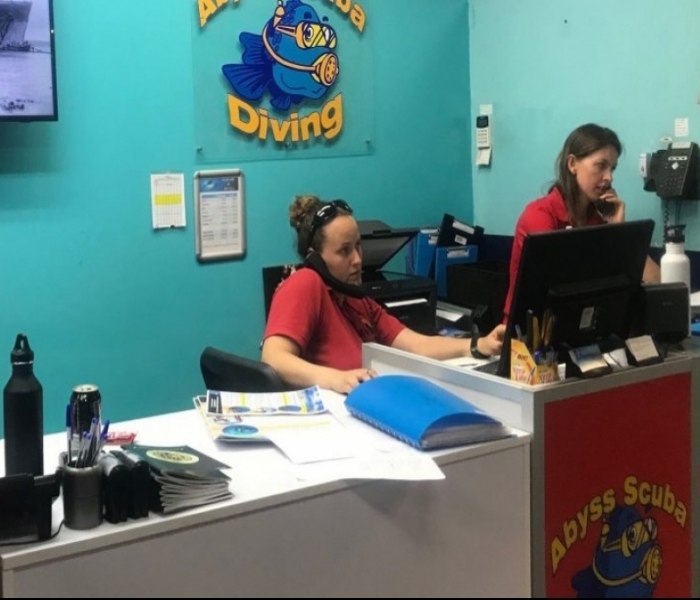 Naturally this course is also taught under the extra security of a shark shield.This course is ideal for people who want to make scuba diving a lifelong activity and leave the course ready to enjoy diving in Sydney and around the world. Budget Dive Lessons, The PADI Open Water Budget Dive Course Deal designed to meet the needs of the budget conscious without having to resort to one of the minor certification agencies. The course runs Sunday, Monday, and Tuesday. Unlike many of the coupon dive courses you have a choice of dates and you can choose the one that suits you, when you book your course.This course does the theory training using a manual and class room combination although an eLearning option is available. The student to instructor ratio is much higher although we maintain a maximum of 8 people per PADI Instructor. No lunch is supplied during the course and this course is not taught under the extra security of a shark shield, similar to all other low priced courses in Sydney.This course is ideal for budget conscious people who feel very comfortable in the water and don’t need the close support from an instructor in a small group and has the extra time available to match in with the larger group. As you can see we have a PADI Open Water Course to meet your needs. So if it is a private open water course, the standard Abyss Learn to Dive course or the Budget PADI dive lessons deal we have a course to meet your needs.